Now the dust has settled :), we can explore more about Jollof Rice – both a short history and the recent #JollofGate incident. In the winter of 2010, I made whole wheat Argentine Empanadas. I served them with a fresh herb sauce, Chimichurri, and got many pats on the back! It is fascinating to see how everything we feel about life is (reflected) on the plate. 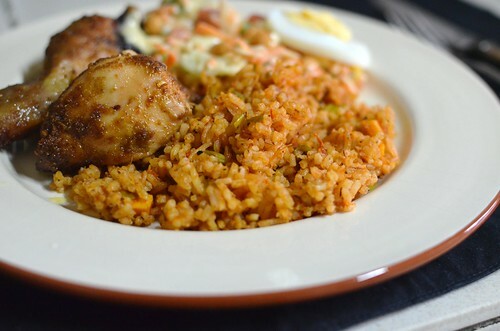 Take Jollof Rice for instance– its popularity is assured offline and online as these twitter hashtags suggest – #JollofGang , #JollofIsLife, #Jollofies, #JollofNation, #TeamJollof and the most recent, most controversial #JollofGate. 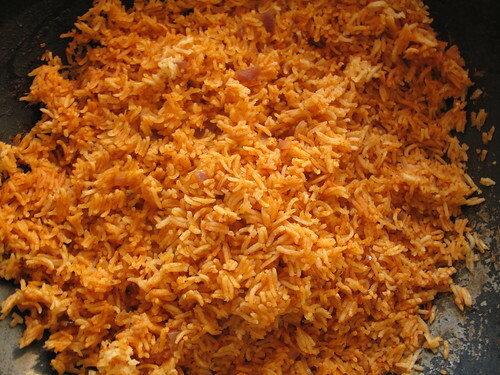 Jollof Rice – Essential to our ‘culture’. So it’s important that West Africans at home and in the diaspora will take up arms to defend anything and everything about it – its origin, preparation and by God, how it is served. The suffix -gate derives from the Watergate scandal of the United States in the early 1970s, which resulted in the resignation of U.S. President Richard Nixon. The scandal was named after the Watergate complex in Washington, D.C.; the complex itself was named after the “Water Gate” area where symphony orchestra concerts were staged on the Potomac River between 1935 and 1965. 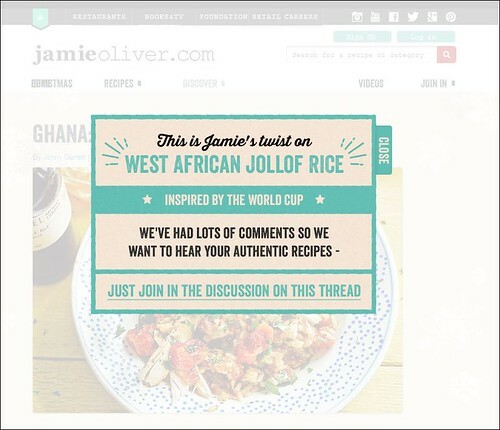 Ushered to prominence by a twist on the classic Jollof recipe on Chef Jamie Oliver’s website, the post, ‘Ghana: Jamie’s Jollof Rice Recipe’ featured a paella-looking recipe which West Africans did not take to and did not take lightly. Though the recipe was posted in June as part of a World cup series which, by the way, also featured a visit to a Nigerian restaurant in Homerton, it came to ‘light’ in late October and sparked outrage from coast to coast. As a cook who is passionate about trying out new recipes, I feel for Jamie Oliver. As that same cook, I’ve been exactly where he is, admittedly without thousands of comments and a # to that effect. that the empanada is NEVER made with whole wheat flour. This said, your post is great, and your blog spectacular !!! And therein lies the answer – cultural context. That’s what Jamie (and Jonny Garrett who wrote the piece) were missing – cultural context. Even though Jamie did say it was his own twist on the recipe, most people were not having any of that. The post evoked all sorts of memories and thoughts in the hearts and minds of people. I was amazed at the clarity in some of the arguments for and against the recipe. 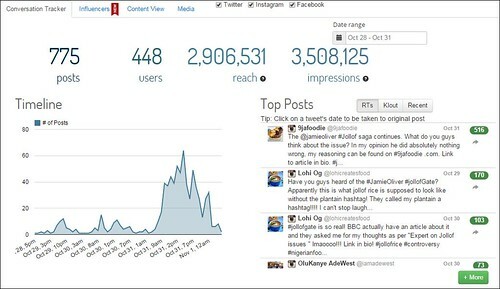 The analytics and even memes cracked me up and taught me a thing or two. 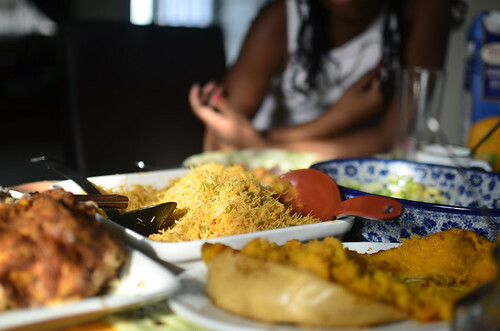 Two things stand out – the look and ingredients in the dish and his idea that Jollof Rice was a ‘concept’. Well three…the fact that ale was served with this. It just might pair well. Hmmm. Anyways, pretty dish but not Jollof. Often when we (cooks) ‘access’ recipes, our excitement to try new things experienced in glossy images on the internet or in the pages of cookbooks may blind us from the nuances that accompany that dish. The history and culture and context. When I made the Empanadas, my creativity came to the fore. I wanted to condense all I’d learnt about Argentine cuisine in that one spree and I tried. It never occurred to me to consult with any Argentines – to share what I was doing, because you know what, I ‘owe’ them the respect. Much of what I write and blog about puts me in ‘role model’ category. Often words in print are taken as ‘truth’ and it is my responsibility to convey the right message. So yes, there is freedom of speech and creative license in recipe development, but there is also respect and understanding of people and culture. In actual fact, there is also great opportunity to collaborate and learn, and thus ‘make authentic’. That singular response from Cristina evoked a range of emotions in me – from shame to indignation and finally, remorse. How could I have gotten it wrong. So wrong? Well, when I got off my high horse, I could see…easily. I’d looked at it through my lens, coloured by my experiences of Nigerian cuisine, of experimentation with flavour and texture. The thing is I’d never been to Argentina and so had not tried Empanadas there. I had zero idea that my pairings were not traditional. And one has to respect traditions whether or not you agree with them. Truth is if I had called them meat pies inspired by Empanadas, I doubt there would have been much of a problem. What I did, out of ignorance was call them by ‘the’ name not knowing what it ‘connoted’. Well, ignorance and all, I’m glad it happened for I would never have learned how easy it was to disrespect people’s cultures and histories. I say ‘First know all the rules, then break ‘em’. Typical seasoning includes stock cubes (Maggi or Knorr brands), curry powder and dried thyme. 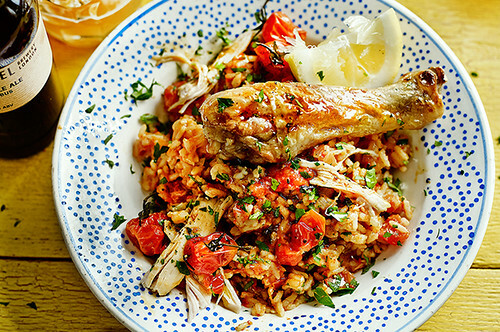 Saying all this, as a cook and a Nigerian, I’ve given myself permission to make Jollof Rice however I want – with basmati or Thai Jasmine rice …if I so desire. Whether to stir-fry it, oven bake or cook it on the stove top. To combine it with noodles and to burn it. Make it smoky. How I want. When writing about recipes with cultural significance, be mindful of what names you give, particularly if your methods and ingredients are not traditional – a bit of research won’t hurt. If you don’t know, or aren’t sure – find someone who does. These days, there are so many channels to finding answers, use them. And just in case you’re wondering, no this isn’t the first ‘food’ related –gate controversy in history. No sir. There’s been FlakeGate, NoodleGate and PastaGate. #JollofGate – I rest my case.